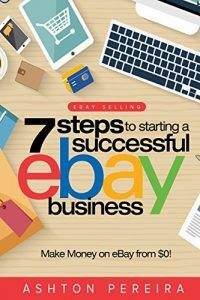 eBay is well known for many different aspects of the ecommerce business. Both good and bad, cutting edge and antiquated, these ideas live side by side on the site which can be an enigma to some or nirvana for others. One of the good things eBay does especially well is work with charities and celebrities to auction off valuable and collectible high profile merchandise to benefit worthy charitable causes. eBay's Giving Works and Mission Fish programs are two of the brightest highlights of the history and legend that is eBay. These auctions work well because they draw a great deal of attention both from the traditional media and the public. People like to believe they can have a chance to buy a piece of the fame and notoriety celebrities have amassed in their high profile lives. Carroll Shelby is a very famous automobile designer, racer and enthusiast. There is no question that this man is a legend and an icon in the American automobile community. From his days with Ford designing and tricking out the original Ford Mustang, to his own Shelby Cobra of the late 1960's and his road racing career, Carroll Shelby has earned the respect of millions of fans and enthusiasts. Mr. Shelby is not an eBay expert however and when famous people like him have the idea to auction off one of their prized possessions, like say... a 1968 Shelby Mustang EXP500 which has been in his own personal collection from the day it was built, he relies on the help an advice of people and companies like Kompolt. Kompolt specializes in high profile charity auctions on eBay, they do a fantastic job of getting large amounts of traffic concentrated on high profile, well designed and meticulously crafted auctions for charity events celebrities enjoy and believe in. eBay also enjoys the extra attention provided by these seemingly philanthropic auctions. There is a bit of a problem however when business mixes with charity and icons like Carroll Shelby are used to benefit more than charitable causes. Mr. Shelby most certainly has his heart in the right place, the vehicle he is offering to the public in an effort to benefit the Carroll Shelby Children's Foundation is a very worthwhile and generous donation. The Co-Sponsor of this particular auction - Restoration Hardware - may have different motivations however. The screenshots presented here are from the page visitors are directed to when clicking links from the eBay home page, and from the Kompolt main website. The first image is the top half of the Kompolt charity event splash page on eBay and shows Mr. Shelby and his fine automobile. This bottom portion of the eBay page has not one but two direct links off the eBay website leading to not a charity page, or the Carroll Shelby Foundation, but directly to the eCommerce website of Restoration Hardware. This is obviously a very large and direct violation of eBay's well established linking policies. If the links had been directed to the foundation or other charitable sites we could understand how eBay would look the other way. In this instance, the links are directed to a full eCommerce website offering Gifts for the Holidays, Toys, Games, Tools and Gadgets - everything under the sun, everything eBay would never allow any seller do on any landing page on eBay in any other case. So why is it OK here? The link circled in green in the image above leads directly to the website in the image to the right. The only charitable activity on the Restoration Hardware website is the promotion of the Carroll Shelby eBay auction with Kompolt. The rest is pure eCommerce business. Personally I congratulate the Restoration Hardware people for getting around the rules that the rest of us have to follow. I also understand this was not an inexpensive task to perform. The real problem here is not in Restoration Hardware using these tactics to promote their business. 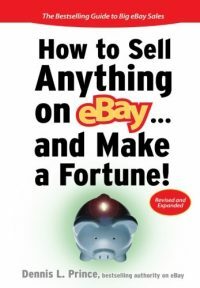 The problem is eBay's looking the other way for big business on almost every rule and policy they adamantly enforce against the smaller sellers. 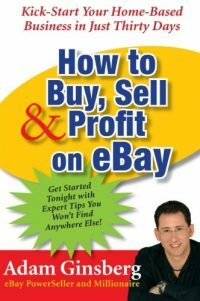 How can eBay condone such a blatant and obvious off eBay link from such a high profile auction? Are we to understand that eBay just did not know about these links to an eCommerce website? Does eBay own Restoration Hardware? Is Retoration Hardware a Diamond Powerseller with untold rights the rest of eBay seller community has no access to? The efforts put forth by Kompolt and Mr. Shelby are not in question here either, as they have each done more good to help the world through charitable means than most small towns or large companies. Our question is not with the intent of this fine idea or the good people who have dedicated themselves to promoting these types of good events. Why taint the event with eBay Rules violations and obvious commercialisation. Why would eBay risk the reputation of the good charitable work they do to allow the promotion of a competing website? Any comments below to help enlighten the rest of us who do not understand, are always welcome. Scott, obviously don’t know what’s going on in this case, but I can tell you that the links policy in general is enforced on a pattern that looks something like random. For another example, a small row blew up on the UK PowerSellers’ Forum (the official one) this week, with one seller blatantly advertising his website on the front of his eBay Store, and laughing in the faces of those who told him to remove the link. Dozens of reports have been put in, both to customer support generally and to “higher up” eBay staffers; and though Liveworld have now removed the forum threads, the link on the store remains. It’s my belief that right now, eBay staff have “more important” things to worry about. I am all for removing the links policy. I think if sellers pay to advertise goods and services on a website, they have the right to advertise where they sell those goods and services. But I also believe enforcing the policy as it stands, in a willy nilly fashion, NARUing one seller while allowing another to blatantly disregard the policy, is just hurting eBay’s already somewhat tarnished reputation of late. It’s a shame is what it is, and yes they do have many more problems. But if you enforce a rule on one, you must enforce it equally on all. I believe the ebay staff checks store postings and inventory pages very ramdomly. I run an ebay store and several affiliate computer websites. I actually make my ebay store’s home landing page that has outside affiliate links in the page. They see my inventory page on the left and right smack in the middle is my affiliate page of http://cpumechanic.com . They will randomly catch my link to Yahoo MyWebLog in the contact section but not my store’s home landing page, that way I actually get two visits for the price of one. I even made the ebay store have a domain link to it called http://store.chipsxp.com . Scot: The ‘screenshot on the left’ is actually an About Me page, and as such is allowed to have links off-eBay. When you scroll to the bottom of said About Me page and click on the single listing, you get to the actual auction page. In reviewing the actual page, I did not see any improper links. The auction page and the About Me page do look very similar. The obvious problem started a number of years ago when Ebay went from the “garage sale” format of the average person trying to sell their unwanted items. To store based format to attract large volume sellers. If you want to buy something online I suggest you do a search for what you want a do a little shopping. Ebay is not the place for great deals. Due to this fact it is not surprising that Ebay is losing customers and is pandering to thier mega-dollar sellers. I suggest if you want a deal buyer beware and use craigslist.